As a kid I was a self-proclaimed Pro Sticker Collector (oh, how that huge 3-ring binder was my pride and joy! ), and at one confusing point in my youth I was also the proud owner of a miniature cow collection (the toy kind, that is). Totally normal. I also realized during the creation of this post that there are two kinds of people in this world: those who use all-white (or single-coloured) matchy mugs, and those who prefer to collect various mugs from here and there, adding from travels, etc. I guess I just ain’t a matchy mug kinda girl! When I shoot recipe photos, though, my go-to mugs are exclusively espresso-sized white mugs because they photograph so nicely. Try and put a random 16-ouncer in the background of a photo and it’s going to look like an elephant is sitting down to tea with you…lol. 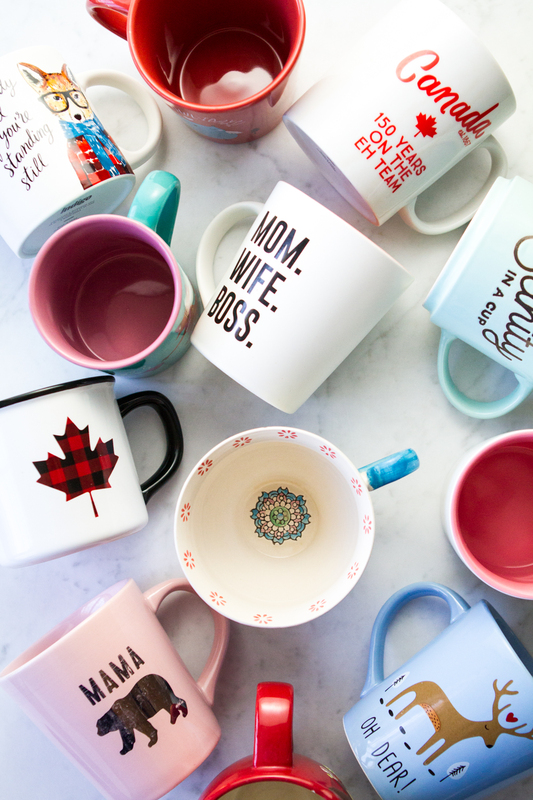 I’m always asked where I get my mugs, so I thought it would be fun to put together a post rounding up my favourites. I grouped them into a few categories to snap these pics: Mama’s Going Crazy, Holiday Shenanigans, and Mama’s the Best. This is the collection I most often turn to first thing in the morning because it always bring a little smile to my own tired mug. From left to right we have: “It’s only cold if you’re standing still” (Indigo), “Sanity In A Cup” (Indigo), and “For Fox Sake” (Indigo). The For Fox Sake one is a personal fave and deserves a bit of a close up…hah! I’ll bring these out in October and they’ll go strong right through to February! Maybe this collection is a bit overused around the holidays (and beyond), but when you need a boost during our gloomy winters, you do what you gotta do! 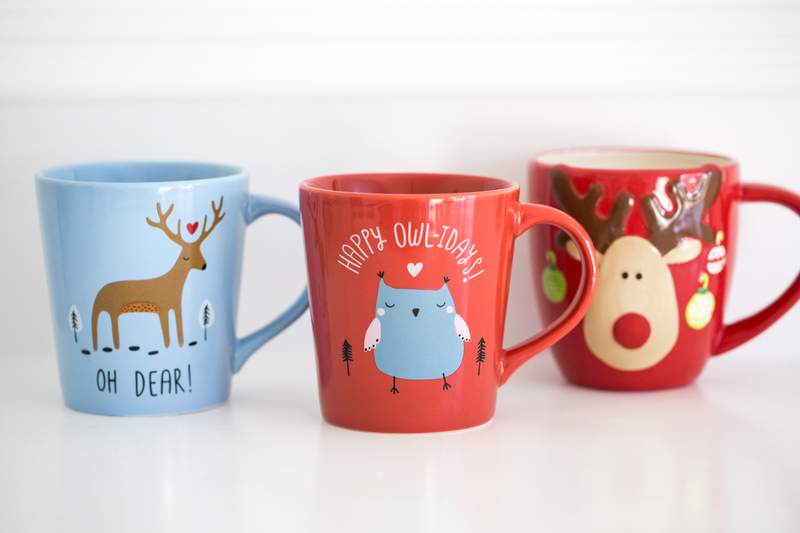 From left to right we have: “Oh Dear!” (Indigo), “Happy Owl-idays!” (Indigo), and a huge reindeer mug (tag brand purchased from HomeSense). From left to right we have: “Mom. Wife. Boss.” (Indigo), “Mama Bear” (Indigo), and “Best Mom Ever” (Indigo). Well there you have it, folks! My current favourite mugs. 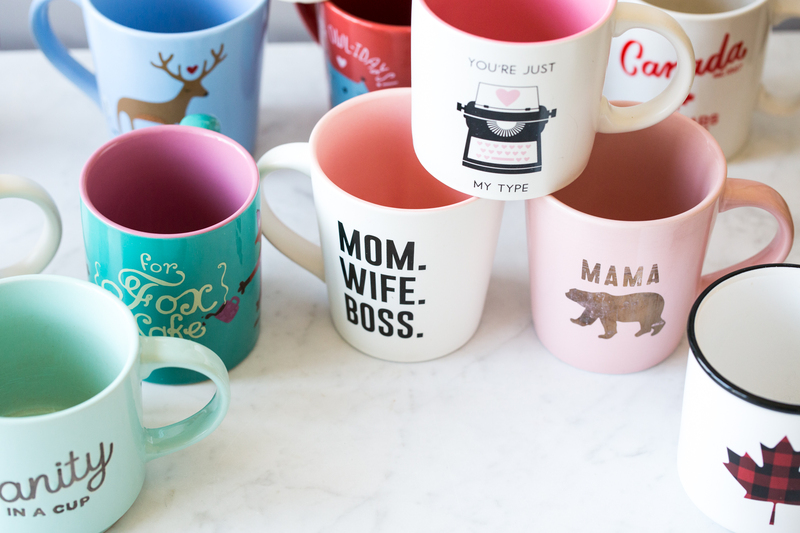 I would LOVE to hear about which type of mug person you are (mono-colour or multi-mug mayhem like me?!). And just to make my life complete, I’d LOVE it if you tagged your favourite mug online using the hashtag #OSGfavemug so I can see it too! You don’t even know how excited this makes me. What a fun post! I’m a matching mug sort of person. We used to have red ceramic ones, but this Christmas we got the coloured Tim Horton’s ones. They were actually quite hard to find, had to visit almost 20 tim’s to get a few sets (I guess we’re all a certain type of crazy…). 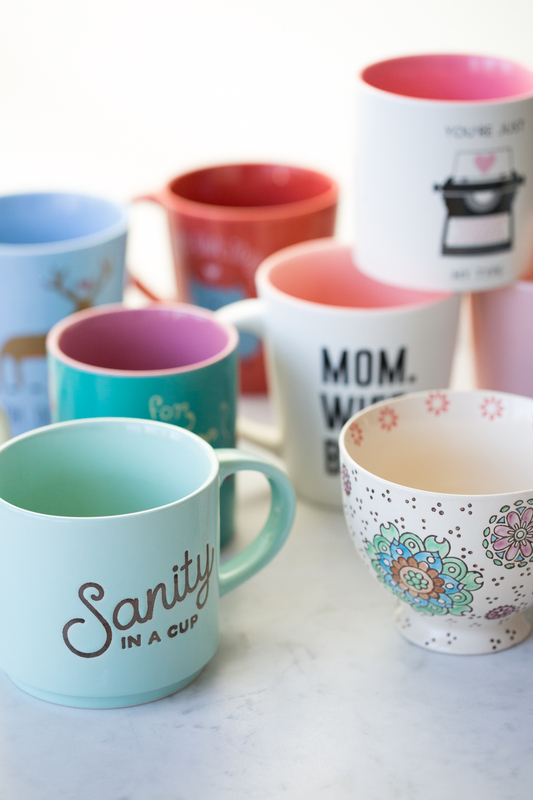 I have a special cupboard for sentimental mugs that don’t match the set …. LOL. you just reminded me I have a couple world’s best sister mugs hidden away for gifts for my sisters. I haven’t busted them out for myself (yet)…hahah. Oh me too! I am a mugaholic! My husband gives me the stink eye if I even LOOK at mugs! My BFF and I have been collecting Starbucks ‘You are Here’ mugs for a few years now and we always buy each other mugs when we go visit new places. My most exotic one is from Dubai and my favourite one is a Christmas one from London. I need a new house with a larger kitchen specifically for my mugs!!! I’m a random mug lover too! I prefer the classic shape (like your 150 canada mug shape, btw, that mug is great!). Every December one of my friend’s hosts a mug exchange holiday party, where each person brings a funny or cute mug, wrapped, and then we do the whole thing where you can unwrap one or steal one. I’ve gotten some of my best mugs that way. omg…genius idea for a swap party!! Going to do that this December. I was a “white” mugger. Then I became an “Anthropologie Initialed” mugger. I am now a more diverse mugger. 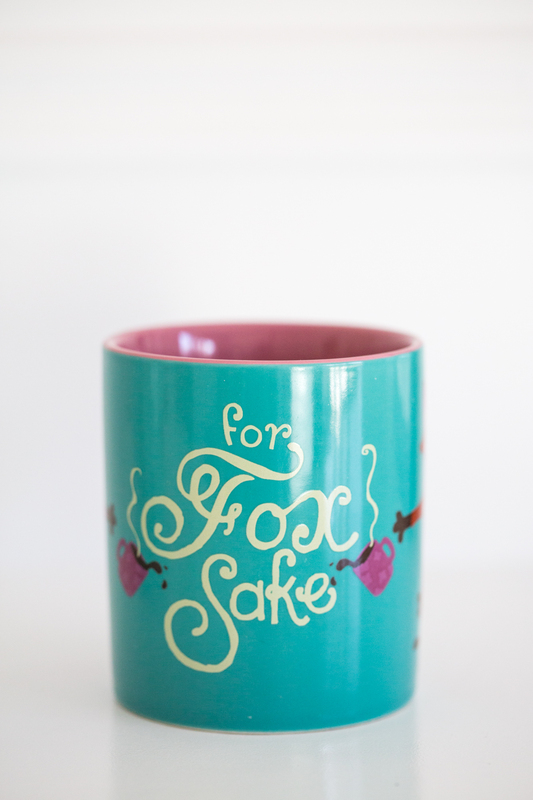 And I need the “For Fox Sake” mug in my life. lol…too funny. And I think everyone needs a For Fox Sake mug in their life at some point. lol…so true! And I need to see a picture of your mugs!! I always love seeing which of your mugs will pop up on instagram! My fave of yours is the one with the blinky eyelashes but the caption escapes me at the moment (loooong day). Whenever I fall in love with a mug, I manage to convince him (convince myself?ha ha) that we must have a set of that mug…see what I did there? I combine my love for a mug with his wish for a matched set mua ha ha. We have had sets of enameled mugs in jewel colours that look like the metal mugs you take camping, flowery ones by Cath Kidston from the UK, plain white from IKEA, groovy milk glass mugs from the 60’s…and many more! If I see that blinky eyelashes one in a shop, though, it’s coming home with me anyways! The blinky eyes one says “wakey wakey”…perfect, right? Wakey Wakey! That’s the one! I just love that one…now that I know the caption, I was able to look it up on indigo.com and I found it…on sale 50% off! Argh! To buy it and accept the fallout or not buy it and always feel a little bit mug bereft? :) I really feel that I need a new mug to go with my new coffee maker ha ha ha! I am non matchy. All my mugs are one of a kind pottery mugs. I tend to buy one almost every time I visit home in Nova Scotia. I will always accept a unique mug, scarf of mitts for a gift. People don’t believe me but I use them all! I literally Bunzed all my white matching dishes away. Now I’m all pottery and granny inherited china and I love it :) I’ll take a pic and tag you on Instagram. Yes please tag me, I would love to see! 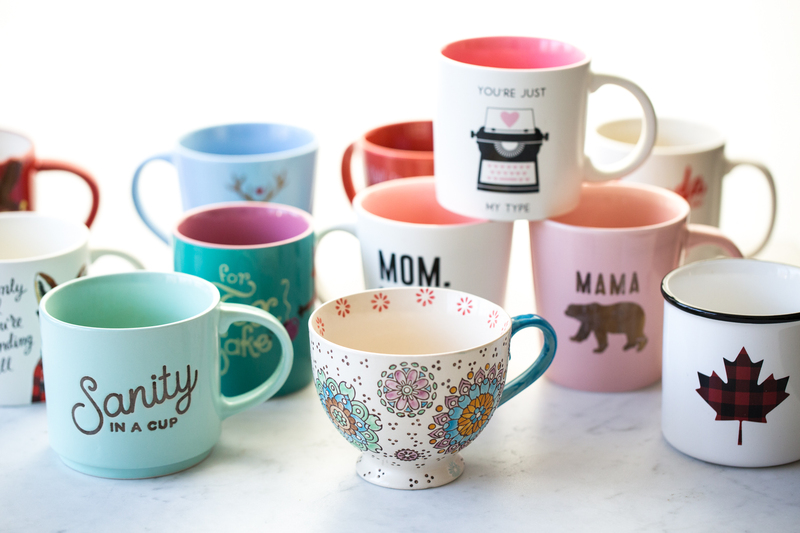 And I love the one of a kind pottery mugs…I really need to add some of those to my collection! I am also an Indigo mug hoarder. 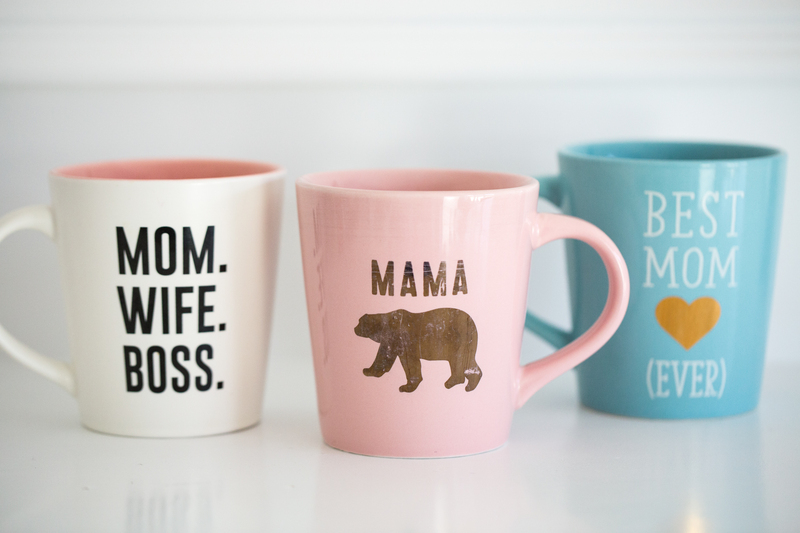 I have so many of the same ones as you, my fav is the mama bear pink one! Nice :) they do make great mugs! And they have so many new ones every time I’m there..it’s like come on! Oh, good tip about the shelving. 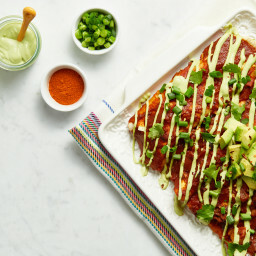 I’ve been meaning to try that! Could be a marriage saver, no? lol. This post is awesome!!!!! I am the same way. And I have mugs for every single holiday that I break out. And for Christmas all of my mugs get put away and all the Christmas ones come out! My mug collection is very eclectic, too. I couldn’t stand having matching mugs. Pier 1 also has some cute ones :). I love the mugs they have at Chapters/Indigo, but I’ve had terrible luck with them. Every mug I’ve bought from chapters has had some kind of flaw in it and lasted less than a year. I stopped buying them because they just seemed so cheaply made. Oh I love Pier 1 mugs too…I don’t get there often enough!! Sorry to hear you’ve had issues with the Indigo mugs! That’s so frustrating. Just voted. You deserve it. I have loved your website for years! Oh that would be my dream (going to those markets!!) I bet you find some beauties there. I too have a mug fetish. Whenever I go somewhere new I must have a mug, preferably unique to the area. I am a bit partial to the Starbucks mugs because they’re everywhere and big. It’s gotta be big! 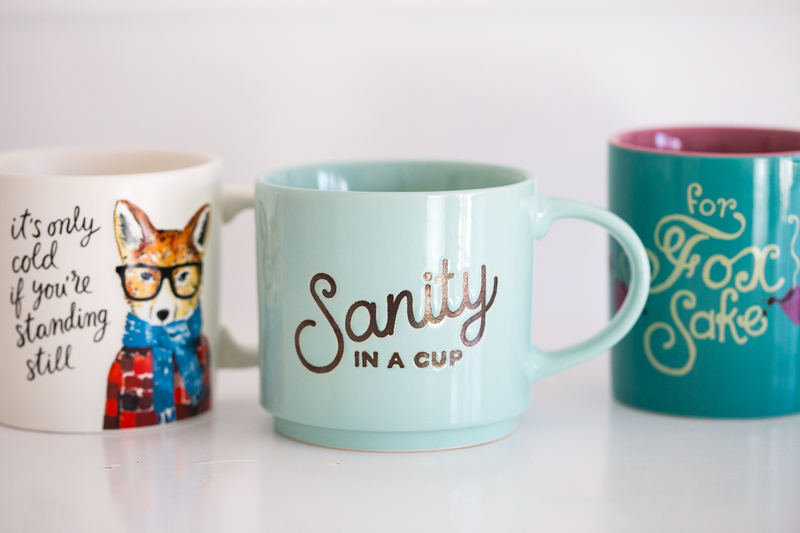 My husband has a running tally on how many mugs I have “We’re up to 27 mugs now….” I am a sucker for the pretty mugs at Anthropologie too. 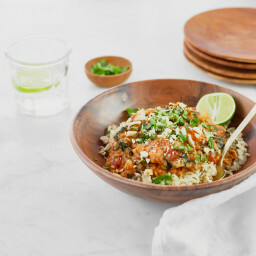 Such a fun post Ange! Yes to big mugs!! I occasionally make exceptions for smaller ones, but usually opt for the big ones to fit more coffee. 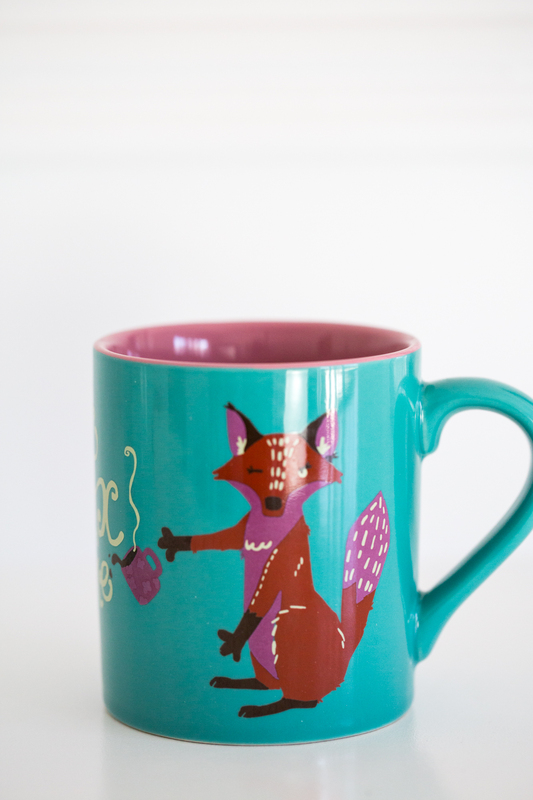 I really love the anthro mugs too! Aww that’s so true, right? I had fun making it. Thanks Wendy! 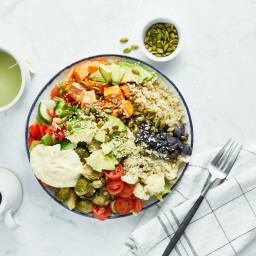 Previous post: Ask Angela: Favourite uses for hemp hearts, make-ahead lentil loaf tips, my go-to wrap, and more! Next post: Ask Angela: The spiralizer I use, make-ahead Superfood Porridge, Chocolate “Nutella” swaps, and more!